I get asked this question all. the. time. And the answer varies because everyone has a different threshold on what they need to earn to make a living. But the answer can definitely be YES! Our latest success story features Allison, who did just that. She’s taken both of my courses and was able to quit her full-time job just eight months after graduating from the transcript proofreading course. Q: Hi, Allison! Tell us a little about yourself. What did your life look like before you found Proofread Anywhere? I studied psychology and English literature in college. 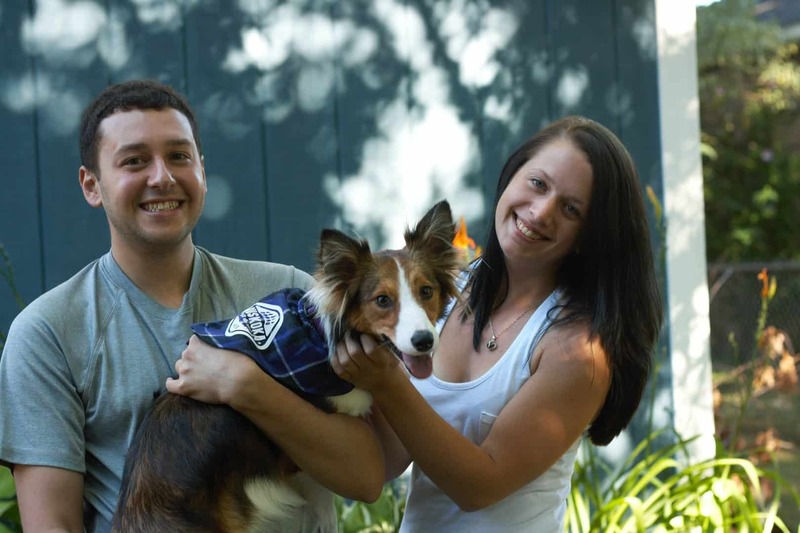 When I graduated, I went to work in the pet care industry. I certainly have a love for animals, especially dogs, but after five years I found myself unsatisfied with my career. I was working long hours, every other weekend, and holidays. A lot of the time I was too busy to spend time with my family, my boyfriend, and my collie mix, Pippin. I felt like life was passing me by. Q: I know the feeling… and it’s the WORST! 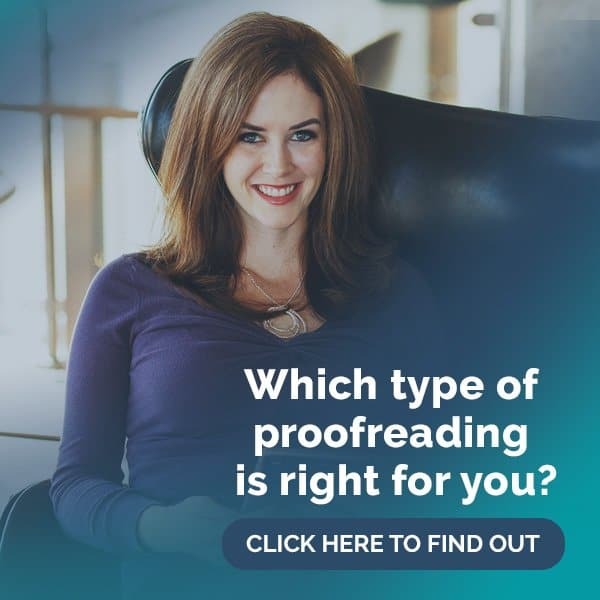 So when did you start proofreading, and what made you decide to learn how? I was always a nerd. As a child, I would hide away in my room and read. In college, I would look over my friends’ essays. Reading and proofreading were things I always loved to do, but I never thought it was possible to make a career out of them. Then I found an article about Proofread Anywhere on a blog called The Penny Hoarder. My dream job actually did exist! Q: I never thought proofreading could be a career either… and now look at us 🙂 What was the most challenging part for you in getting started? 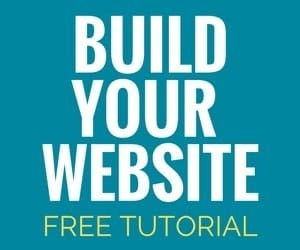 For me, it was working through the course and starting a business while still working full-time. I wanted to make sure I was at a point where I could support myself before I quit, which meant a lot of late nights and very early mornings. It was definitely worth it, though. Q: We always make time for the things that matter most! What was the most valuable thing you learned during the courses? I’ve learned not to worry about what everyone else is doing and focus on my own goals. I worried so much in the beginning. I thought everyone else was doing better than I was, and I had so many doubts. These courses taught me that if I worked hard to develop a skill, I would be able to go places. It didn’t matter if my journey wasn’t the same as everyone else’s. I put in hard work and built a business out of it. Looking back, I don’t know why I ever doubted myself. Q: You started out as a transcript proofreader, so what made you branch out into general proofreading? I do love transcript proofreading. I do. But if the general proofreading course existed when I found Proofread Anywhere, I would’ve jumped on that train first! My dream was always to help authors by proofreading novels. The best perk of the job: getting to read all sorts of books. Q: What type of general proofreading do you do? I do manuscript proofreading for authors. It is so awesome to be a part of the creative process and help someone else achieve their dream of publishing a book. Q: There’s definitely no shortage of authors publishing books these days! How long did it take you to find your first client? And how many clients do you have now? For transcript proofreading, it took me about a month to find my first client. Then it was about another month for my second client. But things have definitely snowballed from there. After a total of nine months, I have four regular clients and four more that send me sporadic work. For general proofreading, it took me about a month for my first job, which I did for free to help out an author friend. Then it took about another month for my first paying job. Keep in mind when you read this that I was also still working full-time and proofreading for several court reporters. I hardly had time to market my skills. Now that I have quit my full-time job, I have more job offers coming my way. 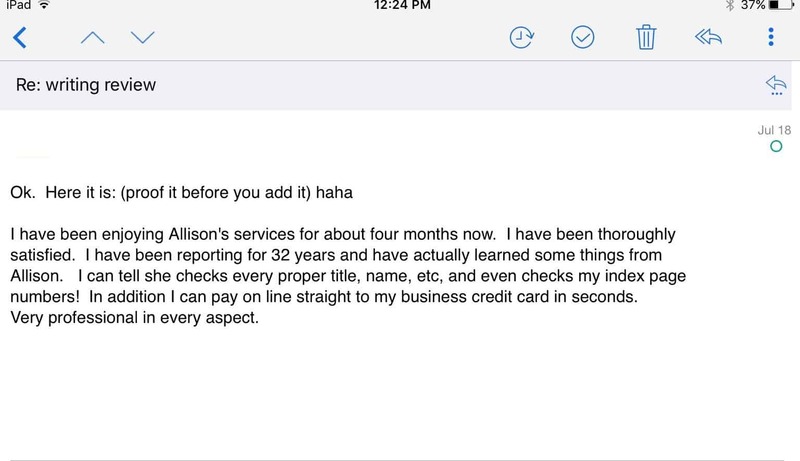 Check out what Allison’s clients are saying about her stellar work! Q: How long did it take you to recoup the cost of the courses? 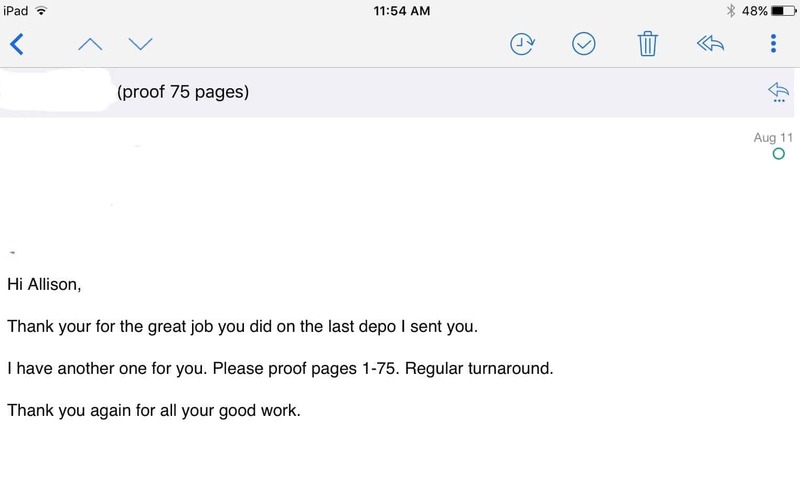 I recouped the cost of the transcript proofreading course in about five months. I’m still working on the general proofreading course, but I haven’t been as active in that one yet with all of the other stuff on my plate. I will soon! Q: What advice would you give anyone thinking about enrolling in one of the courses to learn how to proofread? Are they worth the money? These courses are not for anyone that doesn’t want to put the work into them. It’s hard. And I’m glad for that. If these courses were easy, I wouldn’t be prepared for the real world at all. That’s the best thing I got out of these courses: confidence. Once you go through the training and pass the tests, you know you are ready for whatever life throws at you. Both courses are definitely worth the cost. And Caitlin and her team, as well as a community of other students/graduates, are all there to answer questions and give advice. And the courses are always improving. I’ve never doubted that Caitlin truly cares more about training students than the money. Q: That’s 150% true 😉 What does your life look like now as a working freelance proofreader? I’m proud to say that after graduating the transcript proofreading course in January 2017, I quit my full-time job on September 1, 2017. I’ve always been a hard worker and dreamed of being able to put all of my efforts into a business I created and could really be proud of. It has also always been a dream of mine to write a novel, and now I have the time to do that. It’s such a great feeling to be free to excel at projects that are your passion and not just a job to pay the bills. I also have more time to spend with my boyfriend and to be the doting dog mom I’ve always wanted to be. I can’t thank Caitlin enough for that! Q: That is AMAZING to hear!! Is there anything else you’d like to share with the PA community? 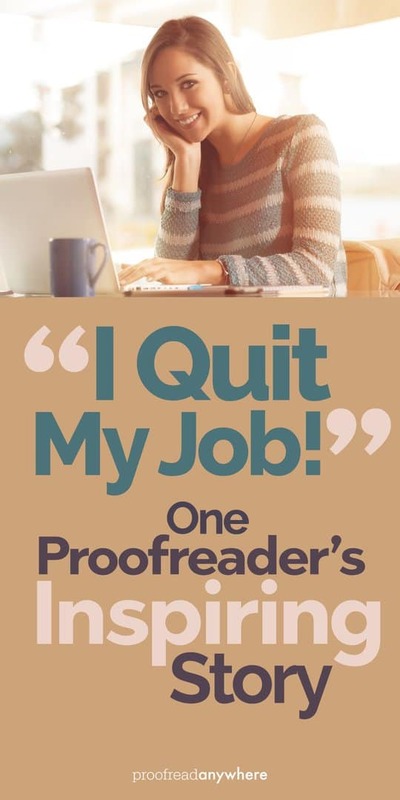 For those of you who want to replace your full-time job with proofreading, it is a lot of work, but it is so worth it! Think of it as an investment in your future. You may not make a lot of money right off the bat (I certainly didn’t! ), but I’ve been able to create the life I’ve always wanted in under a year from finishing the course. Put the effort in and you can do it, too. The fact that Allison was able to turn her dreams into a reality in less than a year after graduating from the transcript proofreading course is so awesome. The hustle and drive that takes is not for the lazy or unmotivated. Allison knew what she wanted, and she went for it — end of story. We can all benefit from taking a page out of her book! 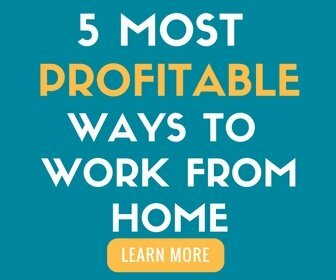 Do you have dreams of quitting your dead-end job and working from home? Would you rather fill your days with work you enjoyed instead of tasks that are helping make someone else money? Stop wishing and start making it happen today! These success stories are my favorite posts on the blog 🙂 Always inspiring and always interesting to hear the different beginnings and paths everyone takes on their journey. It really is amazing how you can really personalize your journey!